With the increase in popularity of VoIP phone systems, there are plenty of VoIP providers to pick from. It’s important to note though, that not all VoIP service providers are created equally. 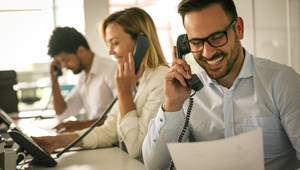 If you’re thinking about using a VoIP service for your business’s calling needs, then there are a number of things to consider first. You want the best for your business, and making the right choice will ensure you get good savings, high quality calls, and easily accessible feature-rich communications. The main reason most people switch to VoIP is to save money on long distance calls, so you’ll want to find a VoIP that offers all the services you need at an attractive price. The price should not be your first priority as you’ll want to make sure that the VoIP service fits your requirements. First, make sure the VoIP has excellent service quality, efficient support and the right plan, if the VoIP provides these then you can pick the one that comes in at the best price. If you want an on-site self-managed system you could be looking at some significant upfront equipment costs, while a cloud-based service will have close to zero upfront costs. The voice quality of the service will have a huge impact on your business. You want a smooth and clear service quality to make sure nothing hinders the conversation. If you need a VoIP service for your small business then you should pick a VoIP provider that takes additional steps to banish any static, delay or distortion when on calls. Although, the quality of the call generally relies on the quality of the internet, there are things that the service provider can do to boost the call quality. You’ll want a VoIP provider that prioritizes voice packets and uses its own service network to ensure high-quality calling. 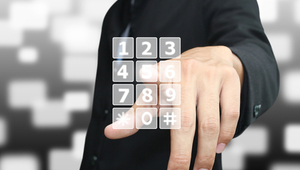 If you’re running a business then you’ll need the VoIP service to be secure. 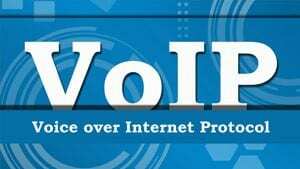 You should consider a VoIP service provider that puts extra measures in place to protect their call systems. You need assurance that your business calls are safeguarded from viruses, spam, and shielded from network outages. The VoIP provider should offer data monitoring to further increase the service quality. If you pick a VoIP phone system for your business with plenty of features and capabilities, then you should make sure that the service provider offers the support for those extras. Using a VoIP service with outstanding customer support will ensure any problems encountered are swiftly resolved and your business productivity isn’t compromised. Furthermore, small businesses will want to consider selecting a service that allows them to adapt their existing phone equipment, as it will save them having to replace it all together. It’s also worth considering a provider that offers professional installation if you’re setting up a full service across different communications for your business. And finally, 24-hour phone support, 7 days a week wouldn’t go amiss. You don’t want to commit to a service provider only to find out that they cannot accommodate your future business communication expansions. As your business grows, so will your need for more extensions, more features and greater flexibility. Your selected service provider should have the ability to provide additional phone features and telecommunication services, should your business ever need it. If you’re running a business you may have multiple locations and therefore need multi-location phone management, scalability, and mobility capabilities. The VoIP provider should also be able to keep up with the technological developments in VoIP calling. This will prevent any restrictions on your communications or the growth of your business.